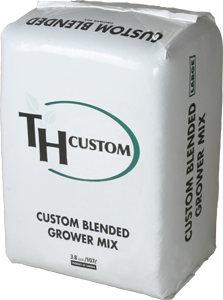 TH – Custom Blended Growing Mix | Theriault & Hachey Peat Moss Ltd.
Bale of TH-Custom Blended Grower MixCustom-blended formulations are specially researched and formulated to meet the requirements of customer-specific growing situations. T & H can also produce a custom blend according to your recipe’s specifications, which will then be certified by Dr. Ranasinghe. Please contact us if there is some other material which you would like to include in your Custom Growing Mix.